If you’re looking at this leaderboard and aren’t entertained, then maybe the Masters just isn’t for you. Pick a name, any name, and they’re likely up near the top of the leaderboard. And not only are there a ton of stars heading to the weekend in contention, they’re all within a handful of shots of each other! This is setting up to be one of the all time great Masters, and the executives at CBS and the members of Augusta National are licking their chops at all the cash they’ll rake in by Monday. Here’s a summary of the first two rounds and what to expect over the next two days. Francesco Molinari, Jason Day, Adam Scott and Louis Oosthuizen hold a share of the lead and rocketed up the leaderboard by taking advantage of absolutely beautiful scoring conditions. There didn’t seem to be too much of an edge in playing either the AM or PM tee time. That allowed competitors in either wave to go low and get into contention heading into the weekend. Brooks Koepka held a share of the lead with Bryson DeChambeau after the first round, but a double bogey at the 2nd got his round off to a rocky start. Koepka went out in 37 before settling in on the Back Nine to get to the clubhouse -1 on the day and remain tied for the lead. He’ll hope he got his rocky round out of the way before we head down the home stretch. If he doesn’t win the tournament, however, he’ll take solace that he was reverse body-shamed about his weight loss all week and shoved that BS narrative right down everyone’s throats. That might be a moral victory for a golfer who always seems to have a chip on his shoulder. Lurking behind the five way tie for first is Dustin Johnson, first time Masters participant Justin Harding, Xander Schauffele and a man by the name of Tiger Woods. Dustin Johnson has very quietly put together a solid first 2 rounds without a lot of fanfare. Justin Harding is vastly outpacing expectations but likely will get vaporized tomorrow in the spotlight. And Xander Schauffele carded the low round of the day by shooting a tournament low 66 to vault all the way from T44 to T6. But all anyone will talk about tonight and into tomorrow is Tiger Woods, who finds himself just one shot back as he looks to capture his fifth green jacket. Because he is who he is, all his shots were on television and I can’t deny that he was truly impressive today. He didn’t have his best stuff at times, especially off the tee. But he came to life when he buried a 40 foot birdie on Hole #9 and that opened the floodgates to a back nine 33. It also could have been better if he didn’t miss short birdie putts on 12 and 17. Ian Poulter and Jon Rahm sit two back, each carding two solid rounds to begin their quest for the Green Jacket. Other notables in contention include Matt Kuchar (-4), Phil Mickelson (-4), Bryson DeChambeau (-3) Justin Thomas (-3), and Rickie Fowler (-3). It’s an odd leaderboard in terms of scoring. It seems as though the first two rounds were very friendly for low scores, yet the leaders are all only at -7. No one has been able to break away from the back so far. That allowed the 10 shot rule to go into effect and the cut settled at +3. If it did not go into effect, then the Top 50 and ties would have made the cut at +2, so those who got into the weekend at +3 are counting their lucky stars. Still, this has created a bunched up leaderboard and with dicey weather conditions on the horizon, anyone who made the cut can steal a green jacket as long as they take advantage of perfect scoring conditions on moving day. Round of the Day – Bronze Medal: Matthew Fitzpatrick (67): The young Englishman looked all but dead after he carded a 78 in his opening round, and things were looking bleak as he entered Amen Corner at even par for the day. From there, however, he birdied 12, eagled 13, ,and birdied 15 and 16 to make the weekend at +1. He’s had past Masters success before, and he should be feeling stress free and happy just to make the weekend that he’ll play relaxed tomorrow. Another solid round on Saturday should get him in the mix. Round of the Day – Silver Medal: Xander Schauffele (66): Schauffele was very unlucky to only manage a 73 in his first round. He birdied his first two holes of the tournament, but a couple costly mistakes on 11 and 18 really torpedoed his opening round. After an opening bogey to begin his 2nd round, Schauffele recorded eight birdies and no other bogeys to card the low round of the day. His ball-striking tee-to-green was truly magnificent today, and if he continues to hit and putt as well as he has he’ll be right there to try and win his first major. Round of the Day – Gold Medal: Francesco Molinari (67): He didn’t have the lowest round of the co-leaders today, but his round impressed me the most of the group of guys at -7. Molinari was an absolute machine today and continued his 12 month trend of being a stone cold fairways and greens-in-regulation monster. Molinari hit 12 of 14 fairways and 13 of 18 greens-in-regulation in his 2nd round. His putter was once the weakest part of his game, but he only had 27 putts and no three-putts to card a bogey-free 67. The most impressive shot I saw him hit today was his long lag putt from the back of the 18th green. He had 78 feet downhill on a double breaker that required him to putt towards the collar of the greenside bunker to the left of the green, then let the ball funnel back down to the hole towards the middle of the green.It’s a putt that requires precision and touch, and he did it with textbook execution to save par and go into the clubhouse at -7. That’s a putt you would have expected him to 3-putt two years ago. He’s tremendously improved in that area of his game. Disappointing Round of the Day – Justin Rose (73): What a disaster the 2019 Masters was for Justin Rose. 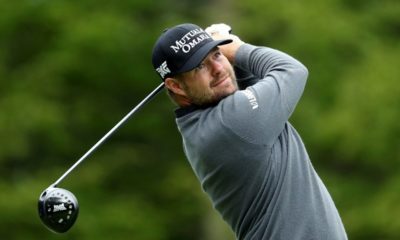 Rose plodded along to an opening day 75, but in the past he’s found a way to overcome slow starts to tournaments to grind out a way to make the weekend. It looked like he was on his way to doing so by birdieing his first two holes of the day, but a poor wedge shot on 3 followed by a missed short par putt gave one back right away. He then gave back another shot on 5 after he hit in the fairway bunker on his tee-shot (an absolute no-no this week). After hitting in the water on 11 to go +1 on the day, Rose fought back with a birdie at 12 and then an eagle at 13 to go two under on his round. It looked like he was back in control of his game and ready to make a run on the weekend. But after blistering a 333 yard drive right down the pipe on 15, he inexplicably chunked his approach shot into the water short of the green and couldn’t get up and down to save par. Following back-to-back bogeys on 17 and 18, Rose exists Augusta National surely kicking himself for all the miscues he had this week. Saturday: Scattered showers throughout the day, warm temperatures in the afternoon. High 85, winds 6-9 MPH from the South. Sunday: Showers beginning around noon with afternoon thunderstorms beginning around 3 PM. Between 0.25 and 0.5 inches of rain expected. High 83, winds out of the South at 15-20 MPH. With light wind and hot and muggy conditions on Saturday, I expect the low round of the tournament to be carded. The over/under on low round of the tournament was anywhere between 64.5 and 65.5, and I expect someone to go 63 or 64 tomorrow. 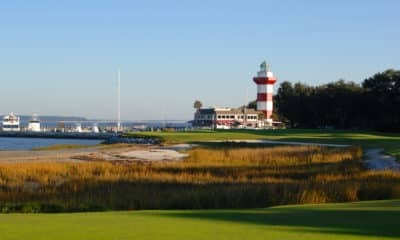 Because of the good scoring conditions, I don’t expect much movement at the top of the leaderboard as most everyone should take advantage of a receptive and gettable golf course. Anyone who doesn’t manage to break 70 tomorrow could find themselves well back of the lead. Sunday is a completely different story. For one, with thunderstorms hitting right as the leaders are just beginning their front nine it surely will suspend play. And with scattered thunderstorms moving in and out throughout the afternoon, it won’t be easy for the leaders to start and stop so often in such a pressure packed situation. Additionally, winds will be 15-20 MPH, which will give the golf course some teeth. Monday Morning: Cold and Windy. Temperatures mid-fifties climbing to mid 60’s mid-morning, winds out of the west at 15-20 MPH. A cold Augusta National with winds 15-20 MPH out of the west are the toughest conditions a golfer can face. These are similar conditions seen in 2016, and that tournament yielded a winning score of -5 with only six golfers finishing under par. I think Sunday may be a wild one as the leaderboard could turn completely upside down over the course of Sunday/Monday. If the leaderboard remains as jam packed as it is currently, we could see someone three, four or five shots back heading into Sunday steal a Green Jacket. On the flip side, if someone were to go out tomorrow and separate away from the pack, it’ll be very hard to run them down without a catastrophe. Because of the difficult weather conditions on Sunday, the only way I would want to grab one of the favorites is if they’re consistent ball-strikers who aren’t prone to making big mistakes. Otherwise, I’m going to look at guys 20/1 or worse who are capable of carding a 66 or better tomorrow to get themselves in contention, then hope they can find a way to back into a win. Brooks Koepka, Francesco Molinari – 7/1: These are the two co-leaders I am absolutely confident can thrive in a grinding final round. Koepka proved at the U.S. Open at Shinnecock Hills that he can buckle down and grind out a victory in tough scoring conditions, and he showed how much ice is in his veins when he held off a hard charging Adam Scott and Tiger Woods to win the PGA Championship at Bellerive. As for Molinari, while the conditions at Augusta won’t be as bad as they were at the final round of the Open Championship at Carnoustie, he’s exactly the type of consistent golfer I’d want on a tough scoring day. 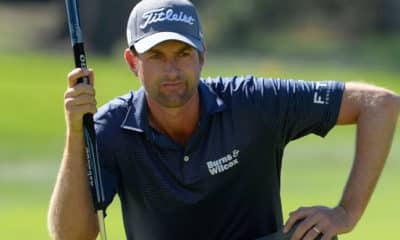 With how straight he hits the ball and as many greens as he hits, as long as he’s not a disaster with his putter he’ll be tough to beat in adverse conditions at Augusta. Of the two, I think Molinari might be the one to fall back of the leaders tomorrow, so you may want to wait until the end of Round 3 before investing. But if you’d want to lock in one or both now, I wouldn’t fault you for it. Rickie Fowler – 33/1: Fowler quietly posted 71-70 over his first two around at Augusta, and is in a similar position he found himself in last year heading into the weekend. Last year he was very pedestrian over his first two rounds, but responded by going 65-67 on Saturday/Sunday to nearly steal the Green Jacket from Patrick Reed. If Rickie wants to be in contention, he has to start taking advantage of the Par 5’s better than he has. Fowler is only -3 on the Par 5’s through two rounds and has yet to birdie the easiest hole on the golf course in Hole No. 13. Other than that, however, he’s been pretty solid. He’s hit 75% of his fairways through two rounds and almost 70% of his greens-in-regulation. The problem for Fowler so far is that his proximity to the hole on his approach shots haven’t been great and his putting has been a little cold. But he’s not putting himself in too much trouble through two rounds, and as long as he keeps up his consistency in those two metrics he could start go get some momentum with his putter and climb up the leaderboard. Despite being relatively anonymous most of the weekend, he’s only four back of the leaders. It would be absolutely fitting for him to win his first major as he finishes up on Sunday with the clubhouse lead and has to sweat it out until Monday to find out if he’s finally off the schnide. Rory McIlroy – 66/1: I’ll admit, he’s been really stinky through two rounds. He’s only hit 57% of his fairways and has put himself in jail off the tee a several times this week. He also putted really poorly in Round 1, totaling 33 strokes on the greens. Another reason why he’s struggling is he’s only -3 on the Par 5’s this week, and that includes three birdies and an eagle on those holes. Anytime he seems to be getting some momentum, he’s stalled out with some crucial mistakes. It hasn’t been pretty. But he’s not that far back, and this is a situation he’s thrived in the past at Augusta – sneaking into the weekend and carding a few low rounds on Saturday and Sunday to backdoor a Top 10. He also has to see a bit of positive regression with his performance off the tee, and his improved putting in Round 2 is encouraging. He’s going to need something heroic like a 65 or 64 tomorrow to get back into things. But he’s Rory freaking McIlroy and is more than capable of going supernova and put everyone in a tizzy. Worst case scenario – he does absolutely nothing tomorrow and you waste a little bit of capital on him. But the ceiling of this 66/1 ticket is so high given what he can do and how the weather forecast is shaping up for the final round. He just needs to put himself in shouting distance of the lead by Sunday. And if that happens, how great would you feel having a 66/1 longshot on Rory McIlroy heading into Sunday?